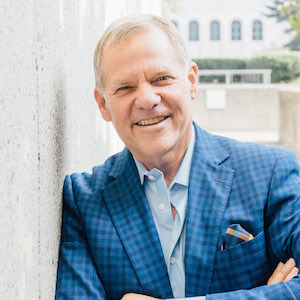 Recognized as one of the most respected names in Bay Area real estate, Rick Richetta is fully committed to providing the most comprehensive and distinguished real estate services to his clients. As a Realtor with over 15 years of experience, his trusted perspective, acute discretion and thorough representation is highly valued -- evidenced by the many clients that refer him to their family and friends. Specializing in Residential, Distinctive Luxury and Equestrian Properties, Rick and his focused team clearly distinguish themselves by designing a truly impressive, engaging and customized real estate experience. He has a full time Project Manager, Marketing Director and Administrator ensuring that each point along the path is handled with the utmost care and professionalism. In representing his clients with a high level of personalized service, Rick is masterful at executing very strategic and skillful measures that achieve impressive, and often record-breaking, results. Applying his expertise as a marketer extraordinaire, his mission is to create a comprehensive plan including a unique "wow factor" when presenting each listing to the marketplace-something that will differentiate the home and make it stand out amongst the competition. Through his passion and deep understanding of design aesthetics, he is recognized for his talent in staging each listing and making it shine with the most appropriate colors, appointments and décor. In addition, he skillfully leverages each listing's visibility, incorporating professionally produced photography and video and drone imagery together with refined staging services and a presentation in print and on numerous social media platforms and websites. In working with buyers, Rick acts with diligence and dedication to find his clients their ideal property often looking beyond current published inventory to find the perfect fit. Regardless of the time and effort it takes, his sole focus is on his client's ultimate goal of purchasing a home that they will cherish for years. Rick has a deep understanding of the more human side of buying and selling as well. He holds a degree in Psychology and was a school guidance counselor at Ecole Bilingue de Berkeley before starting a career in real estate. Rick truly loves the area's lifestyle and fully enjoys sharing his insights into the special life and distinct features that the East Bay communities of Oakland, Berkley and Piedmont have to offer! When he gets time off, you will find him at the stables with his horse, Splish Splash, or enjoying the trails in the Oakland Hills with his dogs, Mini and Cooper. Rick adds value and a rich experience at every interaction and his enthusiasm for real estate is readily apparent. He is astute, remarkably meticulous and very creative, strategic and highly skillful in working through the issues. In indulging his clients with first class service, Rick readily delivers results that are beyond their expectations and is truly dedicated to providing an unprecedented depth of real estate expertise that ensures their real estate dreams come true! Contact Rick to serve you and your personal real estate interests.